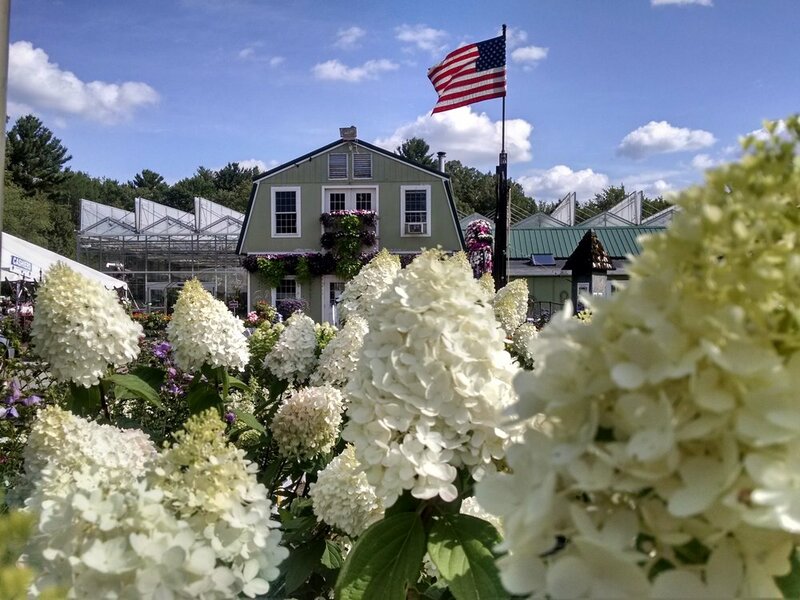 Lake Street Garden Center LLC is a retail garden center in Salem, NH that specializes in large selections of quality plants. We pride ourselves on providing New England gardeners with a wonderful shopping experience. Whether you're an apartment dweller or a homeowner, looking for a special gift, or just in search of a delightful destination, we have something for you. A remarkably diverse selection of high quality, competitively priced plants, seasonal decorations & garden supplies all year round. A knowledgeable and friendly sales staff. A peaceful and pleasant shopping environment surrounded by woodlands, only three miles from exit 3 on Rt. 93. Plant related classes and events, most of which are free! Lake Street Garden Center has 9 Acres devoted to the care and sale of Perennials, Annuals, Herbs, Vegetables, Trees, Shrubs, Statuary, Roses, Vines, Fruits, Water Gardens and all your plant care essentials. We are expert growers. This allows us to offer an unparalleled selection of plant variety! We invite you to come stroll through our greenhouses and display gardens, explore our large nursery, our water garden, our huge perennial selection, unique herb section, large exotic annual section, our pottery from around the globe, and our remarkable bonsai, orchid and succulent collections. Family owned and operated since 1974, here at Lake Street Garden Center we take pride in the quality and variety of our products and customer satisfaction. We invite you to stop by anytime of the year (even in the frigid days of the winter) and enjoy our truly unique & relaxing environment!